Eishin dojo members are training in a large and beautiful dance room with a floating parquet, held by the sport complex CHAUMONT- LEPAGE. 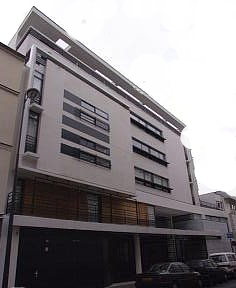 Address : 15-17 rue de Chaumont 75019 Paris, France. Teaching hours : thursday : 19:30pm to 21:00pm and Saturday : 09:00am to 11:30am. Changing facilities and dojo can only be accessed while a teacher is here.